Music expresses that which cannot be put in words and which cannot remain silent; that’s what the students as well as teachers experienced at the workshop on ‘Indian Rhythms and Carnatic Music’, when the musicians enthralled them with their wonderful performance. 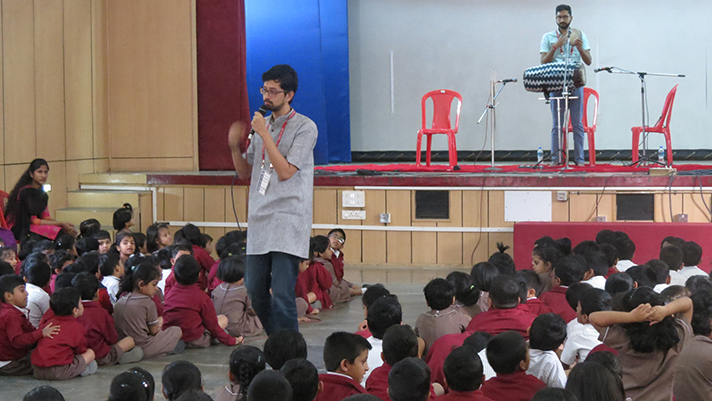 Students sang along with Akshay and Vivek and clapped to the beats. The Tak ki ta Tak ki Tom swaras – Konnakol - sung by the singers charmed the participants in the auditorium. 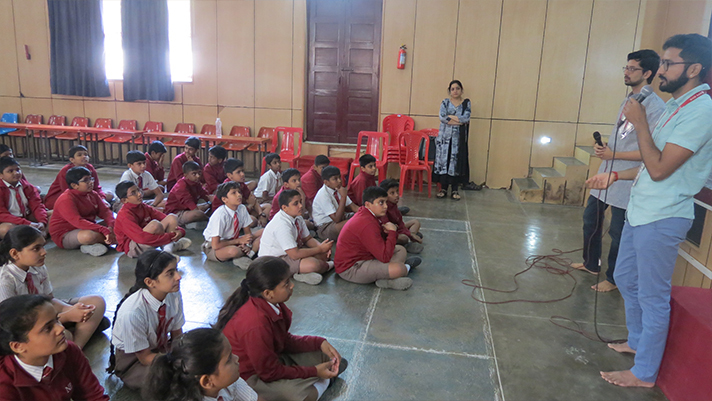 Overall, the musical interactive session was a wonderful experience to our students and it created a magic world for them, encouraging them to look more deeply into music.